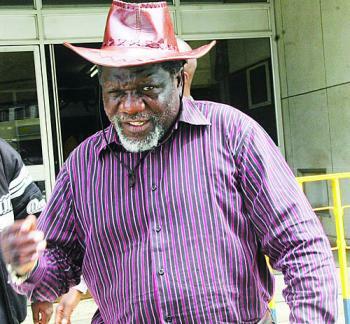 President Michael Sata has continued showing double standards by recalling former Defence Minister and Deputy High Commissioner to Nigeria George Mpombo after being put on defence for fraud by the Magistrate Court while maintaining Sport Deputy Minister Stephen Masumba who has also been put on defence by the Magistrate court. Mpombo is accused of fraud and forgery during the time he served as Defence Minister and has been found with a case to answer while Masumba has also been accused of forging a certificate and has also been found with a case to answer. A source close to the Presidency says Sata dies not want to fire Masumba because he wants numbers in parliament. “The President says Mpombo is not an MP so he does not care about him since his interest is numbers in Parliament, so Mpombo has been recalled and is currently living with his Son- in-law who works for State House” the source said. Several people with cases like Mpongwe MP Gabriel Namulambe have since been black-mailed to join PF with a view receive leniency and favours.